It was a terrific Magic Millions Adelaide Yearling Sale with almost every sale indicator up on last year. For many Victorian vendors and those with VOBIS nominated lots it was a particularly good sale. No less than 8 VOBIS nominated lots sold for $100,000 or more including three by Euroa’s Noor Elaine Farm and two by Euroa’s Glenelg Park. Not suprisingly, 5 of these top selling lots were by the sire of the moment, Woodside Park’s Written Tycoon. 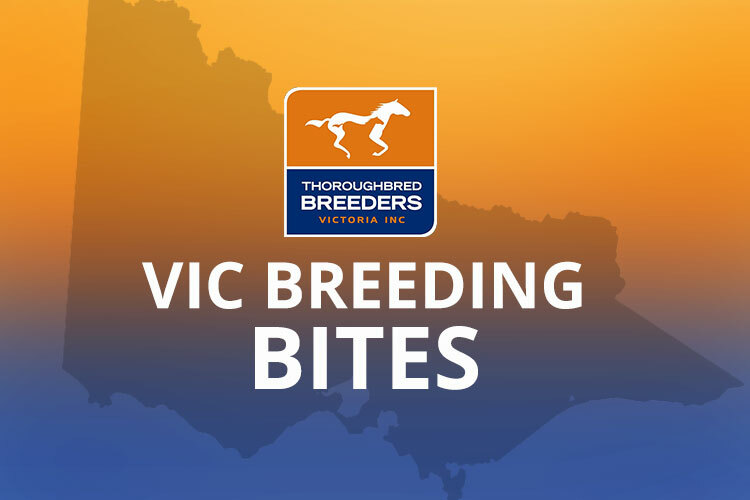 Other Victorian sires to have lots gaining good prices included Street Boss, Magnus, Strategic Maneuver and Artie Schiller. Three Larneuk bred yearlings by Teofilo proved highlights at the recent Melbourne Premier, under Yarran Thoroughbreds’ banner. All of these dams are now in foal to Larneuk’s resident new stallion Cluster (by Fastnet Rock). After buying into and then scoring a Group 1 win with Tarzino at Rosehill, Rosemont Stud had much to celebrate by week’s end. Their resident sire Starspangledbanner, who has suffered from subfertility, is back standing in the northern hemisphere (first season since 2012) and has his first three mares scanned in foal at Coolmore Stud in Ireland. This follows increased covering success over recent seasons at Rosemont. To add to that, another of their sires, Starcraft, lit up the Hong Kong International Sale on Friday evening with the sale topper. The 3yo brother to Group 3 BTC Classic winner Havana made HK$8.50 million (AU$1.44 million). Record breaking Equiano yearling Kerauno, trained by Mick Price, got his second win at Pakenham last week. Ssold for $420,000 at the 2014 Inglis Melbourne Premier. He is out Hidden Energy who has also produced stakes placed Kinetic Design along with a yearling filly sold at the recent Inglis Premier Sale for $675,000. The dam was covered by Swettenham shuttler Toronado last season. The run of Gilgai Farm graduate success seems to have no end! On Sunday at Sha Tin, Lucky Bubbles (by Sebring) scored easily in a Class 1 sprint over 1100 metres giving him a record of 5 wins from 11 starts. He is now being aimed at Group 1 racing in coming months. He was a $90,000 Inglis Premier purchase from the Three Bridges Thoroughbreds draft and is the first foal of stakes-placed Bubble Below. Bubble Below was bought by Victorian based Musk Creek Farm at the 2013 Inglis Broodmare Sale for $145,000 and has a yearling filly by Stratum that will be offered by Musk Creek as Lot 216 at the Inglis Australian Easter Yearling Sale next month. Other Gilgai Farm graduates Supido and Group 1 Newmarket Handicap winner The Quarterback are set for black type races this weekend. On Friday, Victorian breeder Peter Vogl won the Albury Guineas (1400m) with his homebred Rosaleisha. The Testa Rossa filly collected a winning share of the $60,000 in prizemoney as well as a $50,000 Inglis Bonus. Vogl bought into the syndicate after she was sold for $90,000 through Yallambee Stud at the 2014 Inglis Premier yearling sale. Rosaleisha is now being aimed at stakes races. At Wodonga on Monday, Cranbourne trainer Enver Jusufovic was the breeder and trainer of race 7 runner-up Lord Ore (Quest For Fame x Parore). But in the same race he could also celebrate a victory as the winner, Gilchrist (by Reset) is Lord Ore’s half brother and was also bred by Jusufovic. Ross du Bourg, noted thoroughbred breeding expert, journalist and author died peacefully last week at his home at the age of 76. Ross wrote for the Australian newspaper for many years as well as breeding. He was a member of the Bloodhorse Breeders Association and is well known for the book he authored The Australian and New Zealand Thoroughbred. His funeral is in Ocean Grove on the 23rd of March. NEXT POST: Gabby grabs Group 1!